High street shops are shutting all around us, unable to cope with the relentless pressures of the recession. Money is so tight that doors are closing. Even the shops that we consider to be high street royalty are struggling – their doors might still be open but the money most certainly isn’t rolling in. After a washout summer, retail giant Marks & Spencer has struggled to keep its head above water as it seems that womenswear just isn’t selling; without sun, there’s really very little need to head to the shops to revamp your wardrobe with swimwear and sunglasses. One of the biggest stereotypes about Britain: we love to talk about the weather, but in this case, it really might be to blame! One chain seems to be going against the curve and it’s perhaps not the one we were expecting! Whilst stores up and down the high street face losses, Oxfam sales are soaring. As the recession shows no sign of surrendering, shoppers are realising that there’s no real room for frivolity and are heading to the likes of Oxfam, Sue Ryder and Cancer Research UK to bag themselves some bargains. Before heading to big-name bookstores, customers check to see what is available for a fraction of the price at their nearest charity shop, quite rightly asking themselves, ‘Why pay £8 when you could pay 80p?’ The main reason behind booming business for charities is the desperate attempt to make money go just that little bit further and buying second-hand products gives us that chance. 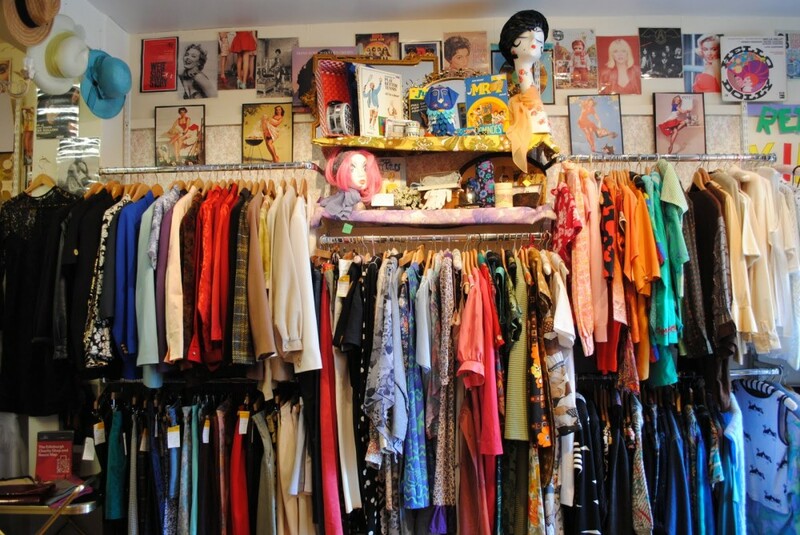 According to the Charity Retail Association, 22% in the UK have admitted to shopping more often in charity shops now than two years ago, with 19% saying that they will continue and even increase buying from charity shops over the next year. It seems that we’re finally embracing the charity shop! Jumping on the digital bandwagon, charity shops now also provide online shopping services, so we have the opportunity to buy cheaper products from the comfort of our own homes. What more could we want? What’s more, in contrast to the fall of many high street giants, the increase in demand for charity shops is so high that new shops are still opening. In 2011, Oxfam’s army of stores around the country and online shop had an income of over £85million combined, highlighting the unbelievable success of the charity. The increase in the number of charity shops together with the drop in sales for retail giants emphasises the changing trends of the high street. Money-tight shoppers are choosing to visit charity shops before the expected, popular high street shops with the hope that they can get good-quality items at a fraction of the price. Oxfam Boutique, for example, sells not only the standard donated goods, but, if you look hard enough, hidden gems are lurking in the corners, waiting to be found. As vintage clothes become more and more popular, the fashion-forward are more willing than ever to spend time searching through the racks of clothes to find one-off items and designer specials at low prices. Swapping designer boutiques for bargains, the strapped-for-cash masses have found a thrifty alternative to the soaring costs of the high street. 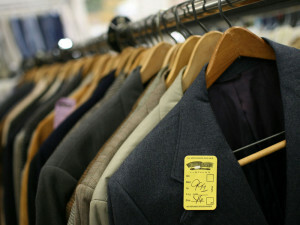 That being said, clothing is not the only reason that shoppers are heading to charity shops. Not only are we buying second-hand garments, we’re buying furniture, books, anything that we can get our hands on for less! Reacting to the economic crisis, many of us are choosing to save our money and only buy essential items; it seems that luxuries can no longer be afforded. Charity shops provide the perfect opportunity to buy (whilst suppressing any shopping cravings!) without breaking the bank. However, in order to raise a bit of extra cash, many people are deciding to sell their unwanted goods as opposed to donating them. One in six people sell their old clothes instead of giving them to charity shops so that they can make money to buy new things. This is where the charity shop struggle starts. Despite takings of almost £1bn last year, when the donations stop so do the sales, and it appears that contributions are beginning to waver. In order to contest this potentially damaging dip, Oxfam has teamed up with Marks & Spencer, as the retailer fights to improve sales, with the ‘Shwopping’ campaign. Charity bins can be found in every store to persuade and remind customers to throw in any unwanted garments, whilst raising awareness for the charity. Cancer Research UK, the British Heart Foundation and a multitude of smaller charity shops have also jumped on the bandwagon, starting campaigns which urge customers to reuse and recycle their old clothes, books and household items to not only help charities, but help others to save money. Everyone wins. Although the recession is obviously causing massive problems for people all over the country, if there’s one positive to come out of it, it’s that we’re helping each other, helping ourselves and helping those much less fortunate elsewhere. With business booming, we’re going to continue to see charity shops pop up along the high street, enticing customers away from retailers selling similar items for a lot more money. You’ve heard the saying ‘one man’s trash is another man’s treasure’ – well let’s embrace that and support charities as they continue to prosper!